Don't faint. I know, right?! Two blog posts in seven days... Can you believe it?! 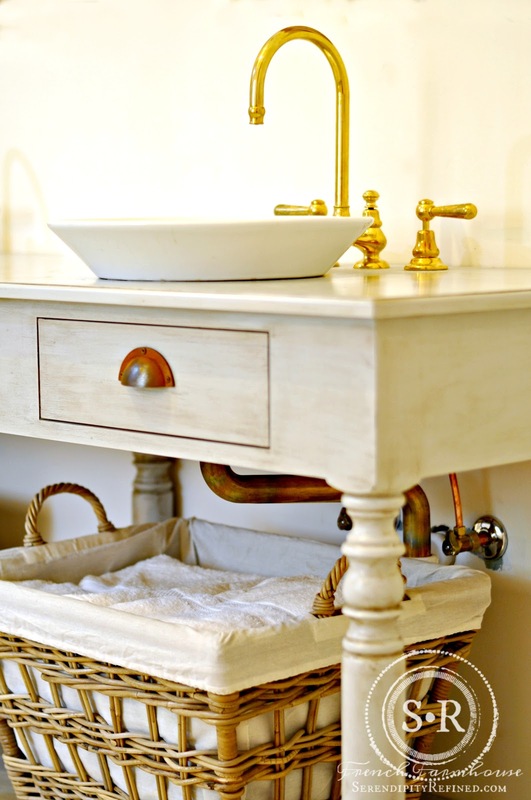 Today I'm sharing my painting secrets for making a brand new replica of a French draper's table look hundreds of years old. First, let me tell you about the table. Hello.....? Anyone still out there? I know that it has been a really long time since I've posted and I won't go into the list of reasons why but let me just say, "whew, it's good to be writing again!". 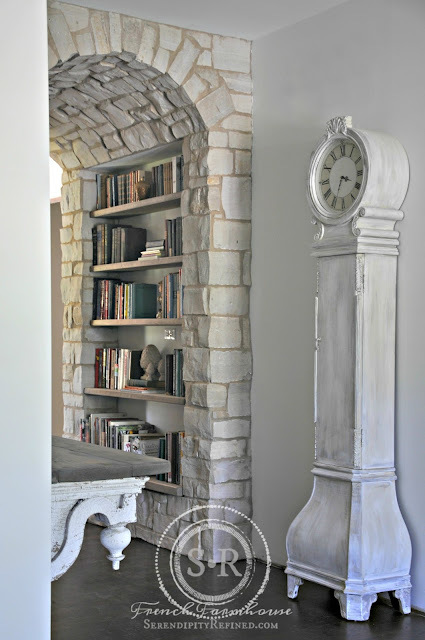 Today, I'm sharing the long overdue photos of how I finished and installed the DIY floating shelves in the stone arch here at the farmhouse.